Welcome to MCT's Tag It Tuesday! I can't take credit for it I saw it on pinterest awhile ago. Here's the link to the original. 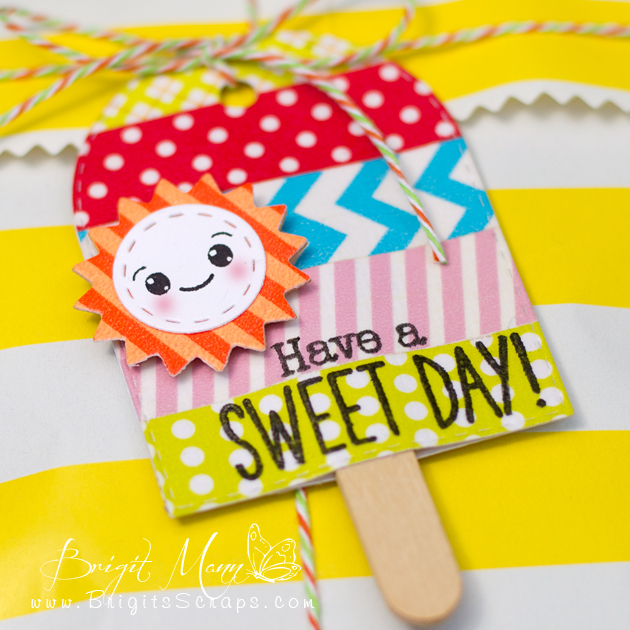 So as I was thinking about what tag to do for today I was looking through my dies and saw the Just Tags Stamp Set and Die and thought about the Popsicle tag. How perfect is that, totally love it, think I'll be doing a bunch of these for birthday gifts. I used some of my washi tape on some white cardstock and then cut it out with the tag die. I cut out another for the back and glue together with a half of a Popsicle stick in between. 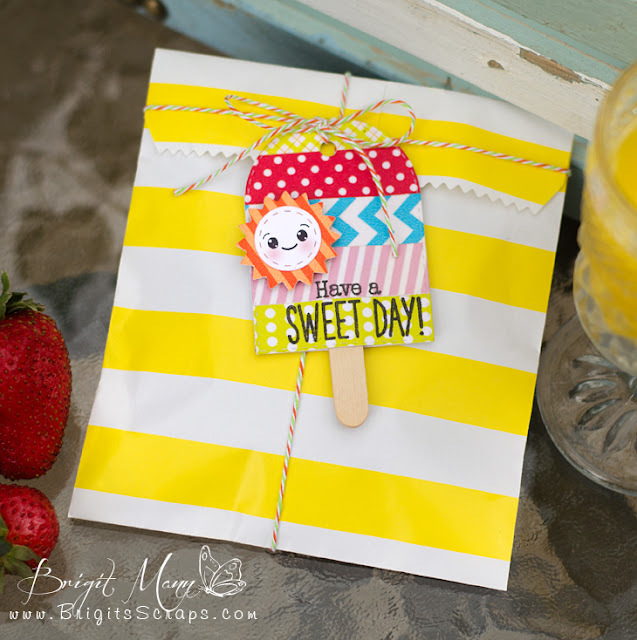 The sentiment and face stamp is from You Make Life Sweet Set and the circle and starburst die cuts are from the Build A Banner Kit. I hope you get to make these they are so much fun!! Your tag is so cute OMG what a grteat idea would've never thought to used Washi tape this way and sure love the tape you used such fun patterns and great colors. Oh you are so going to be making everyones birthdays that get these. YOU so ROCK!! You are so clever! I was just thinking we needed a popsicle die, and who knew we already had one! LOVE your tag!!! This is so super ADORABLE Brigit! This is awesome - I love all the BRIGHTNESS - such a fun tag! I agree with Katie! Such a clever idea and I love the Washi Tape...how perfect. Beautiful job. Brigit ~ beyond CLEVER!! Oh my word! Love this and all the details especially the bright summer colors! My Creative Time 46th Release Blog Hop!